[SatNews] The IXV (Intermediate eXperimental Vehicle), the European Space Agency's atmospheric reentry demonstrator, developed by Thales Alenia Space, was successfully launched by Arianespace today on board a Vega rocket from the Guiana Space Center. 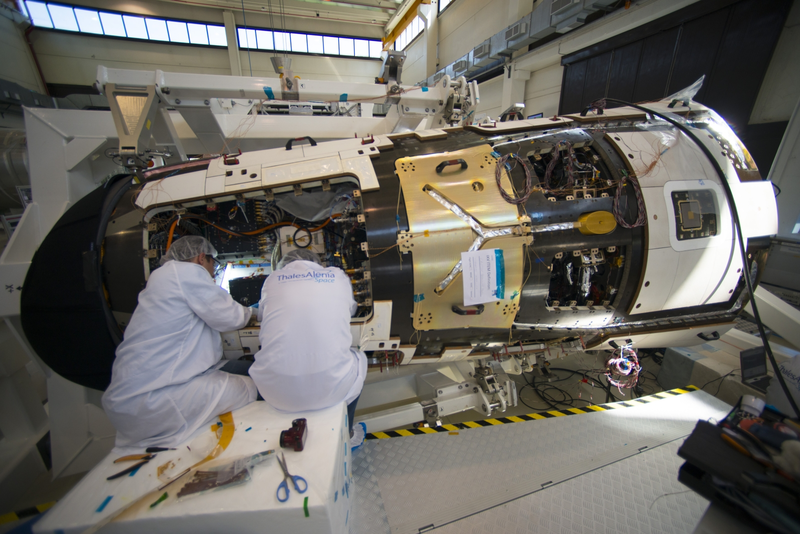 Thales Alenia Space is the prime contractor, heading a consortium of partners from European industry, research centers and universities. Italy’s significant participation in the project is strongly supported by the Italian Space Agency ASI. The IXV separated from the launcher at an altitude of 320 kilometers, continuing its ascent until reaching an altitude of 412 kilometers. It then began the reentry phase, during which experimental data was acquired via the instruments on the vehicle. The IXV reached a speed during its atmospheric reentry of approximately 7.5 km/sec at an altitude of 120 km, typical of a reentry from low Earth orbit, similar of those of the International Space Station. The mission lasted a total of 1 hour and 40 minutes. It ended with the parachute descent, then a splashdown in the Pacific Ocean, where the IXV was immediately recovered by a specially equipped ship. IXV offers excellent aerodynamic properties because of the shape of its fuselage, which maximizes lift and maneuverability. It is equipped with a high-performance guidance, navigation and control system that uses automatically controlled aerodynamic surfaces during the atmospheric reentry phase. It is also protected by a heat shield designed to stand up to the extremely high temperatures of an atmospheric reentry. At the ALTEC Mission Control Center in Turin, specialized technicians followed the mission in real time, coordinating the ground stations during IXV's flight and the naval recovery operations after splashdown.